Yardage - Whole Yards Only Note ! If you need more than the 37 Yards we currently have in stock, please make a different selection as additional yardage is not available. In stock yardage is typically shipped within 2 business days. 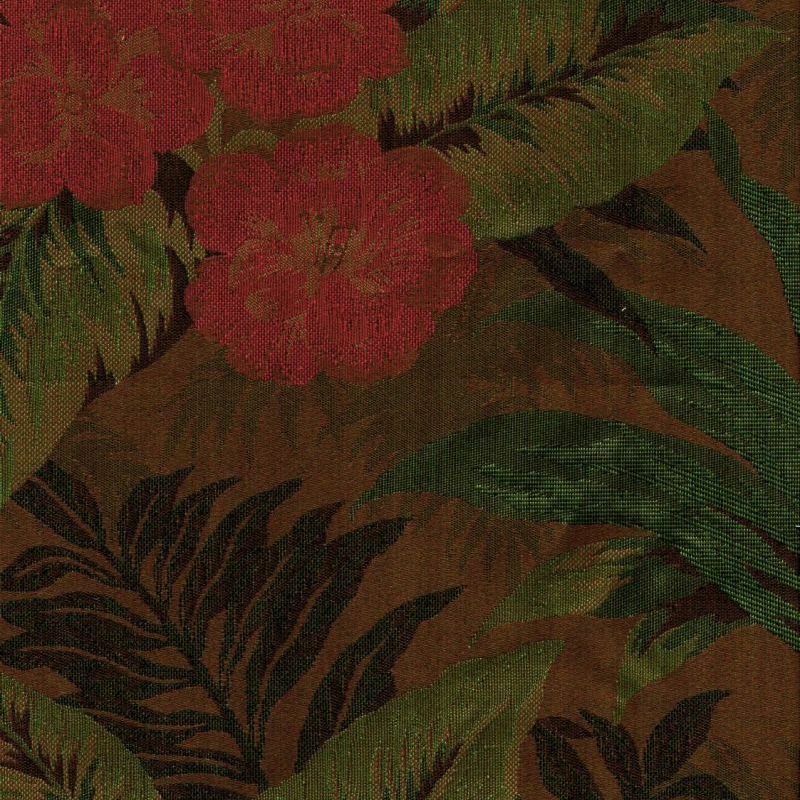 Antique is a woven, full coverage, contract grade floral jacquard design in Deep Cranberry, Spring Green, Emerald Green, Pale Yellow, Dark Taupe and Bright Gold. The floral blooms measure approximately three and one half inches by three and one quarter inches. The overall pattern repeat is Vertical twenty-eight inches and Horizontal fourteen and one eighth inches. The various weaves create a satin weave in the background and give depth to the pattern. The Avora polyester gives excellent durability making this a good fabric for high traffic areas. Antique is suitable for drapery, curtains, cornice boards, pillows, cushions, room dividers, bedding, headboards and furniture upholstery.